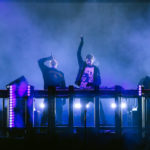 Sasha & John Digweed had seldom been seen together since 2010 until their surprise reunion last spring, which has since prompted an international festival tour. 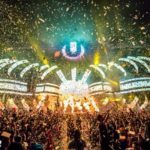 The iconic duo finally made it stateside once more for a historic, two-hour auditory journey at Ultra’s Resistance stage last Saturday. The vanguards provided audience members with a tasty helping of melodic progressive and tech, weaving together records with the ease of a well-oiled machine while telling a hauntingly beautiful story across various melodic arrangements and consistent kicks. Thus far, none of their reunion sets have been captured officially. However, a particularly dedicated and generous fan took it upon themselves to record Sasha & John’s performance in full and post it to YouTube so others who might not be able to witness the legendary reunion at any location could still hear what the two sound like today. Since then, the original poster’s video got turned into a SoundCloud file for even more portable listening ability.